With a population of over 11 million people from 70 different nationalities and 12 million visitors a year, São Paulo is a global city that unites different costumes and cultures. It is not by chance that São Paulo is currently the main entrance gateway to Brazil , receiving 65% of the international flights that arrive to the country, and also has the main direct flights that connect it to Brazil and the world. Absolutely diversified, Sao Paulo is modern, generator of trends and styles, with options in leisure, business and entertainment for the most different tribes: from intellectuals to athletes, party animals, religious people, fashionistas and workaholics. As it should be, this diversity also reflects in all types of art, as well as in fashion. Here, you can find from teenagers dressed in cosplay costumes walking through the mall, to executives in business suits walking fast through Avenida Paulista. These characteristics result from the historical past of the city. Between the 19th and 20th centuries, the city experienced an immense movement of immigrants. At that period, the State of Sao Paulo was the most important coffee exporter in the world, which attracted workers from all corners of the world. In 1920, for example, almost 2/3 of its 600 thousand citizens were immigrants. The success of coffee also contributed to enrich the capital city. Farmers invested part of their profits in the infrastructure and modernization of the region. The wealth accumulated in the city in that period, as well as the industrial knowledge brought by the new inhabitants, kicked off an industrialization process. Initially, only low-cost products with Brazilian raw materials, such as coffee, cotton, leather and sugar, were manufactured. The major turning point for the city industry happened in the beginning of the 20th century, when Francisco Matarazzo started building the largest industrial compound in Latin America. His plants produced from flour to materials until then only obtained by importation, such as labels and packages. However, it was not only in the industry that the avant-garde side of São Paulo blossomed. The strong modernization, along with new cultural knowledge brought by immigrants, provided the city with an artistic and cultural moment unique in the history of Brazil and the world. Brazilian artists, such as painter Anita Malfati and writer Oswald de Andrade, as well as foreign artists like the Italian sculptor Victor Brecheret, originated the Week of Modern Art, which was a meeting between writers, plastic artists, architects and musicians, held in February 1922 at the Theatro Municipal. The goals of the participants were to exhibit art works that included the innovative characteristics from Europe, but also presented typically Brazilian styles. The strong industrialization and the penchant for art and culture are present to this date. São Paulo has the highest Gross National Product (GNP) of Brazil, according to a research carried out in 2010 by the Brazilian Institute of Geography and Statistics (IBGE). Home of some of the world’s largest corporations, São Paulo provides the whole business, technology and services infrastructure. 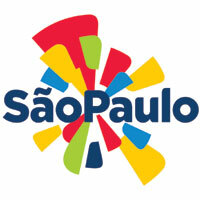 It is not coincidence that the city hosts 75% of the Brazilian market of large business fairs. This segment generates approximately R$ 2.9 billion in business a year. To meet this demand, the city has over 600,000 m² of large areas for diverse events. There almost 20 large trade fair and convention centers. Among them, Anhembi Parque, the biggest in South America. The art world is also effervescent in São Paulo. Cultural center of Latin America, São Paulo has 110 museums, 260 movie theaters, 80 libraries and 40 cultural centers, as well as countless popular feasts and fairs that happen on its streets. Additionally, the city has 160 theaters. Those are spaces for putting together plays of all artistic lines, from major productions of Broadway to Vanguard Theater. The historical Theatro Municipal, one of the most traditional in the city has any attractions in its programming. Among them, periodical performances by the Municipal Symphonic Orchestra, Brazilian music artists and the City Ballet. To host major productions, the city has Teatro Abril, which has presented The Phantom of the Opera, Miss Saigon, and The Addams Family, among many others, and Teatro Alfa, which hosted musicals such as My Fair Lady. With nearly 40 cultural centers, every day there are exhibits, performances, courses, debates and workshops about all forms of art. In addition to presenting versatile, quality attractions at popular prices, the centers enchant the public with their architecture and decoration. Good options are Casa das Rosas – Espaço Haroldo de Campos de Poesia e Literatura, a temple of poetry and arts in Sao Paulo, located at Avenida Paulista – and Centro Cultural Banco do Brasil, with over 4,000 m² of exhibit rooms, movie theater, theater, auditorium, store and coffee shop. This cultural effervescence and diversity of options offer national and international tourists an intense experience in this entertainment center. Fun and satisfaction are guaranteed to visitors from different ages and profiles. Tourists come to the city for the most different events, which prove its status of cultural center that integrates the circuit of events from major world cities. Among them, there are Sao Paulo Fashion Week, Virada Cultural, the largest Gay Pride Parade in the world, Formula 1 Brazilian GP, Formula Indy, the International Motor Show, Bienal de Arte, Mostra Internacional de Cinema [São Paulo International Film Festival], Sao Silvestre run, Lighted Christmas, Bienal Internacional do Livro [Book Fair] and many other good examples. Music concerts are also constant in the city. After a 2011 filled with performances by major artists, such as U2, Backstreet Boys, Cindy Lauper and Amy Winehouse, Sao Paulo is preparing for a 2012 with full schedule. Among the artists confirmed, there are Foo Fighter, Björk and Artic Monkeys. And. great, multicultural, intense art, Sao Paulo is pure inspiration, and for this reason, it exudes artistic expression. Dozens of art galleries are distributed throughout the city, many of them in Jardins, with the most different types of art. There are also several ateliers, many of them in the bohemian district of Vila Madalena. Stores with items that value design are increasingly expanding, especially in the region of Rua Grabriel Monteiro da Silva. When it comes to fashion, frequently new city designers are revealed, reinventing, mixing, adding and transforming fashion. Street art, whether in graffiti displayed in city walls, or with circus artists on sidewalks. Theater, cinema and music of virtually all styles are everywhere, giving more life to a city that values diversity and causes new sensations.